Home values continue to rise, while mortgage rates on cash out refinancing, home equity loans and lines of credit are holding steady or even falling. That is why many homeowners are considering pulling equity out of their homes. With that money, you can afford to do home renovations, pay for college, start a business and other things that require a lot of capital. Having access to “cheap money”, is one of the most significant financial benefits for homeowners in 2018. Don’t overlook cash out opportunities with a mortgage refinance, home equity loan or HELOC. A mortgage refinance is an entirely new mortgage loan. It pays off the balance on your existing mortgage and replaces it with a new one. This is the most common choice for home owners who have an older mortgage that has a higher than current market rate. Home-owners will often choose to refinance their existing mortgage to drop their interest rate. At the same time, if you have enough equity, you also may be able to pull cash out of the property. For example, if you have a balance of $100,000 on your mortgage and your property is valued at $150,000, you possess $50,000 in equity. You might decide to get $20,000 in cash back. This would give you a new loan balance of $120,000. Refinance for cash back can be a good choice if you can get at least .5% lower on your new mortgage rate. If you cannot get a interest rate that is much lower than your current rate, you may want to leave your current mortgage in place. The Federal Housing Administration also offers cash back options. See cash out refinance rules for FHA. Sometimes you may have a very good interest rate on your first mortgage. If so, it would not make financial sense to replace it with another mortgage. So, you may want to consider getting a second mortgage. Comparing secured credit lines home equity loans is a wise move before you pull the trigger. A second mortgage option that many people choose is a home equity credit line. This is a line of credit that works very much like your credit cards. Your lender approves you for a certain credit limit, say, $20,000. That dollar amount is based upon the amount of equity in your property. With that credit line, you may draw out up to $20,000 over a period of up to 10 years, depending upon the lender. During that period, you will probably make interest only payments on the loan. The rate on a HELOC also is variable, so it can go up or down over time based upon current market rates. Many people choose to get a home equity line of credit because it offers the lowest initial rate. But after the draw period ends, you have to start paying back principal. This will cause the payment to go up. And if rates go up, your interest rate will go up as well. HELOCs are a great way to tap your equity, but keep in mind that your payment will probably go up eventually. There were many cases during the last mortgage crash when people lost their jobs and could no longer afford to pay for their home equity line. The result was that they lost their homes. If your credit situation changes, your bank also can decide to pull your HELOC line of credit. One benefit of this type of loan – you only pay interest on the amount of cash that you draw out. A home equity loan is another type of second mortgage. This is a lump sum loan based upon your equity stake in your property. You receive one lump sum of cash to use however you like. 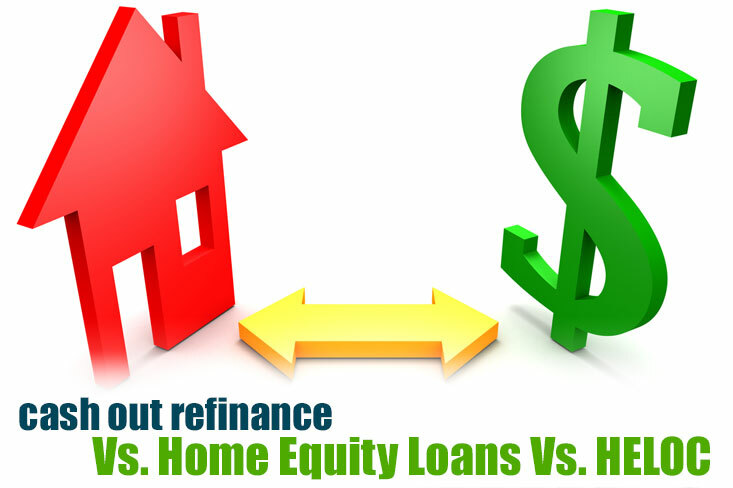 A home equity loan carries a fixed interest rate that is higher than a HELOC’s rate. The advantage with this type of loan is that you know exactly what your rate and payment schedule will be on the loan. This makes it easier to plan financially over the long term. The home equity loan is less popular than the HELOC with home owners, but it is more predictable than a HELOC. This is a benefit that more financially conservative home owners definitely value. As you consider whether to do a cash out refinance or get a second-mortgage, you really have to determine if you are going to be able to save on the interest payment on your first mortgage. If you cannot get a lower rate on your first mortgage, you are much better off leaving it in place and getting a second mortgage. Whichever option you choose, you will be able to usually write off the interest you pay on your taxes. This is one of the most important benefits of having a mortgage, whether it is a first or second. Pulling equity out of your home is one of the biggest advantages of owning a home instead of renting. It is possible to use that equity in a way that benefits you financially. You can use it to improve your home, which will theoretically increase its value. Or, you may invest in a business or real estate, which can bring you additional income. But think carefully about whether you are going to refinance your first mortgage or get a HELOC or home equity loan. It also is recommended to check with several mortgage lenders. 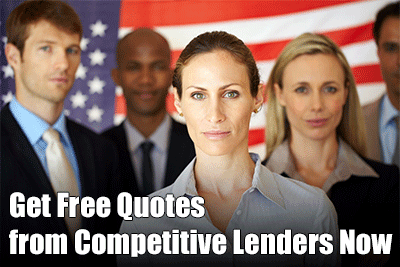 See which lender will offer you the best rates. Do not assume that you will get the lowest rate with your current mortgage lender. The lowest rates tend to be at credit unions, but the more you shop, the better off you will be.